Don't you just love fairy gardens? I do. Usually I find pieces I like and save them until I get inspired to use them, like this example I put together this past week. Fairy gardens are a great way to get kids interested in gardening, too, which Cheli Cuevas points out in a recent story on introducing kids to gardening. There are great books on fairy gardening as well, such as Gardening in Miniature by Janit Calro. 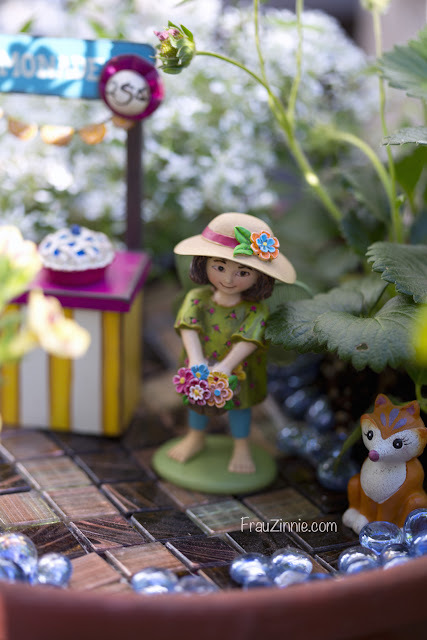 It reminds me of playing with a dollhouse when I was a little girl, but I think the pieces created for fairy gardening are way cuter! My latest fairy garden creation. There are some other plants blooming this week in the garden, but it's definitely more green than I'd like. I'm between bloom cycles here in the perennial land, which is something I need to keep in mind when I shop for new plants. I'd really like to keep the bloom cycle continuous in my garden - a goal that is taking a long time to accomplish. So this week it's easy to say that the peas in the front garden are stealing the show. 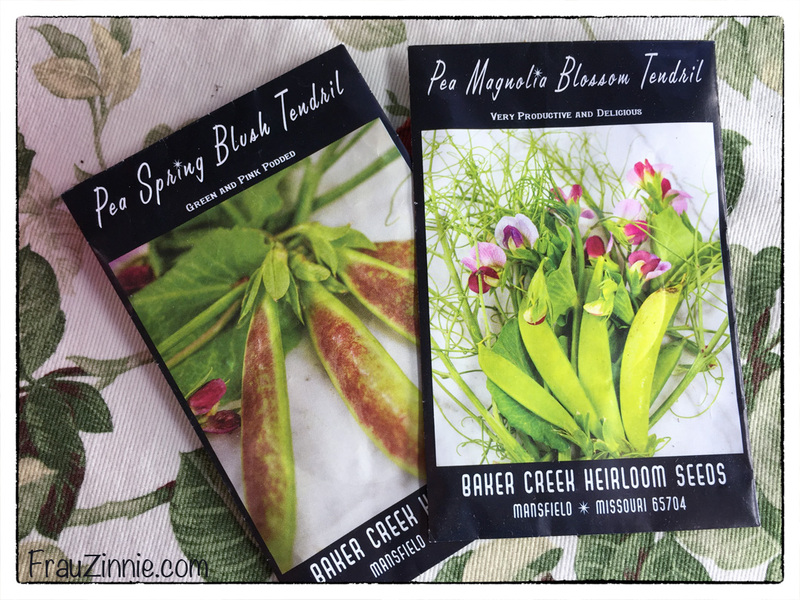 I'm growing two new varieties from Baker Creek Seeds this year: Pea Spring Blush Tendril and Pea Magnolia Blossom Tendril. The first variety went to bloom first, and this week we're enjoying colorful snap peas from the garden. 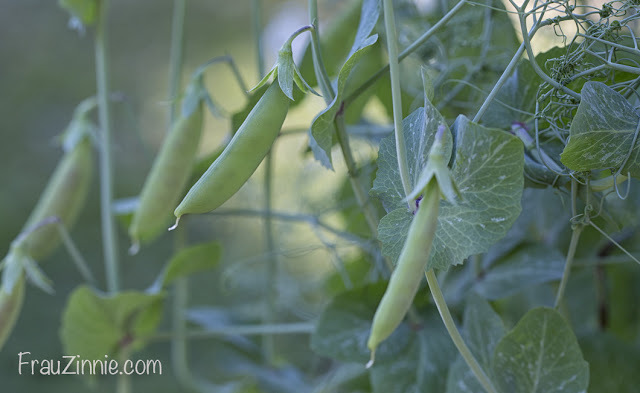 Some have a pink blush on the pod. 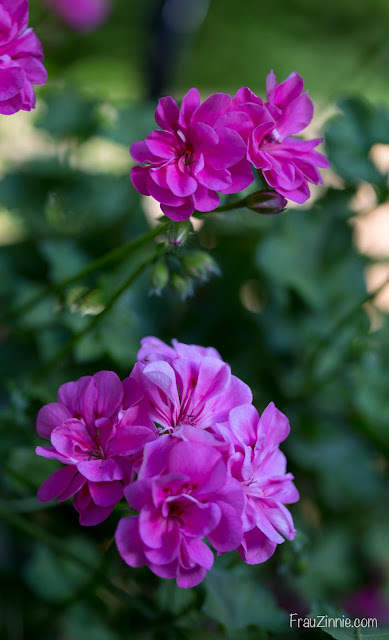 The second variety is blooming now, and I believe that the flowers are slightly larger than the Spring Blush variety. 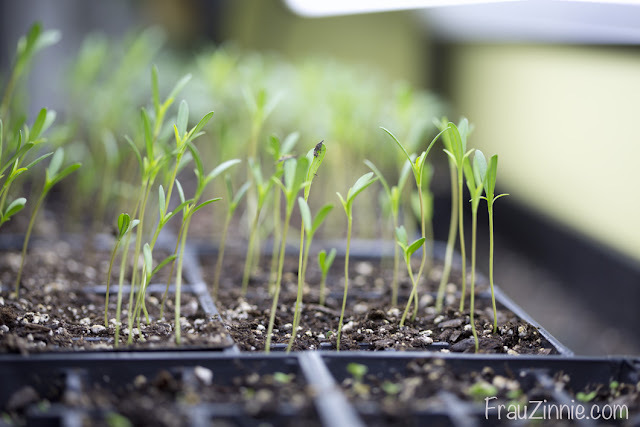 Both were grown in two different grow beds with about the same amount of sun exposure. I love how pretty they are. 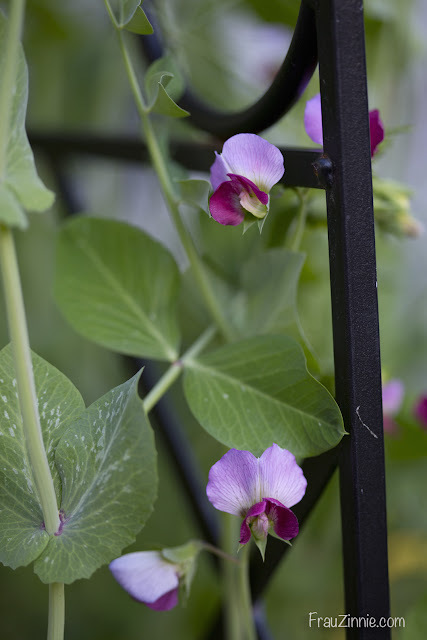 Pea Spring Blush Tendril in the front garden. Pea Magnolia Blossom Tendril in the side front garden. 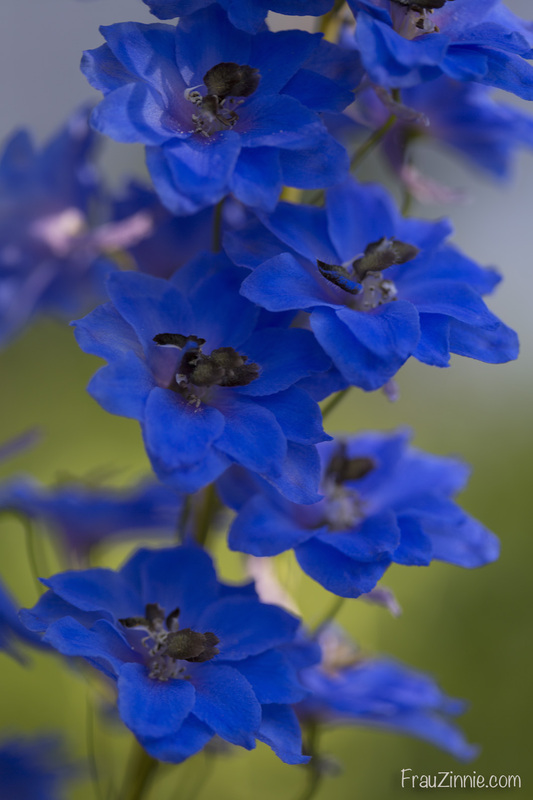 My delphiniums are also blooming this week. I have two plants - one a beautiful blue and the other a deep purple. The purple one I grew from seed about two years ago. 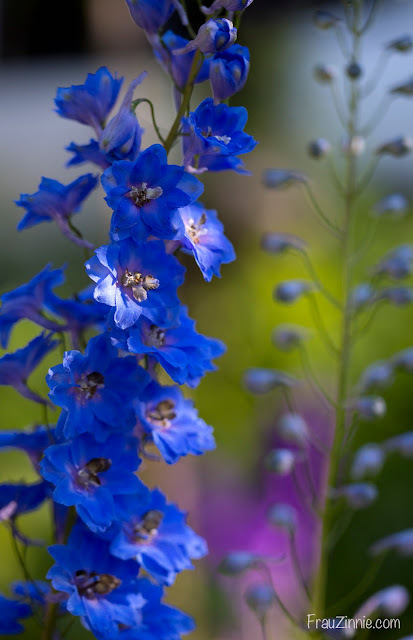 I just love delphinium flowers. The purple delphinium can be seen in the background. 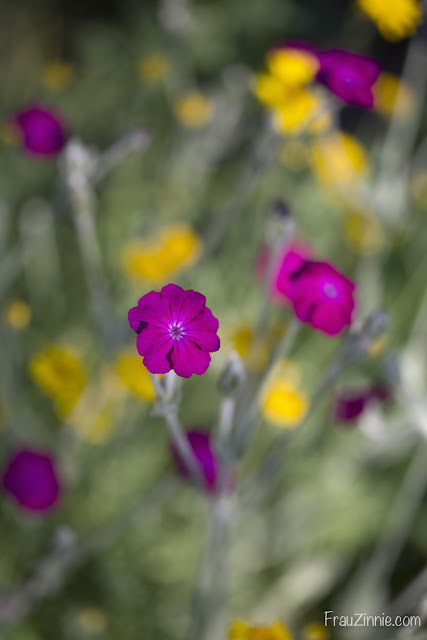 And there are - as usual - unusual combinations that Mother Nature creates, such a this one with golden marguerite and rose campion. I kind of like the magenta and yellow combination. And I'm still starting seeds, because I'm always running behind! Here are some cosmos seedlings under my grow lights. Luckily, they are growing quickly!